Sign up for Broadjam today to follow Mac Ramsey, and be notified when they upload new stuff or update their news! 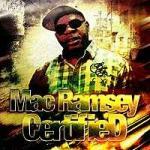 THIS IS MAC RAMSEY FROM TEN WANTED MEN WITH TOMMY WRIGHT THE THIRD BACK LIVE AN IN COLOR WITH THAT REAL SOUTHMEMPHIS FLAVOR U CAN FIND OTHER SONGS ON MOST DIGITAL SITES LIKE ITUNES AN TUNECORE UNDER THE NAME MAC RAMSEY THE ALBUM TITLE IS CERTIFIED YOU CAN ALSO FIND ME ON FACEBOOK UNDER RAMSEY MCDOWELL IF YOU TIRED OF THIS WATERED DOWN RAP THEY GOT OUT HERE CHECK YO BOY OUT I CAME TO PUT ON FOR THE REAL FROM MY HOOD TO YO HOOD!!!!!! !